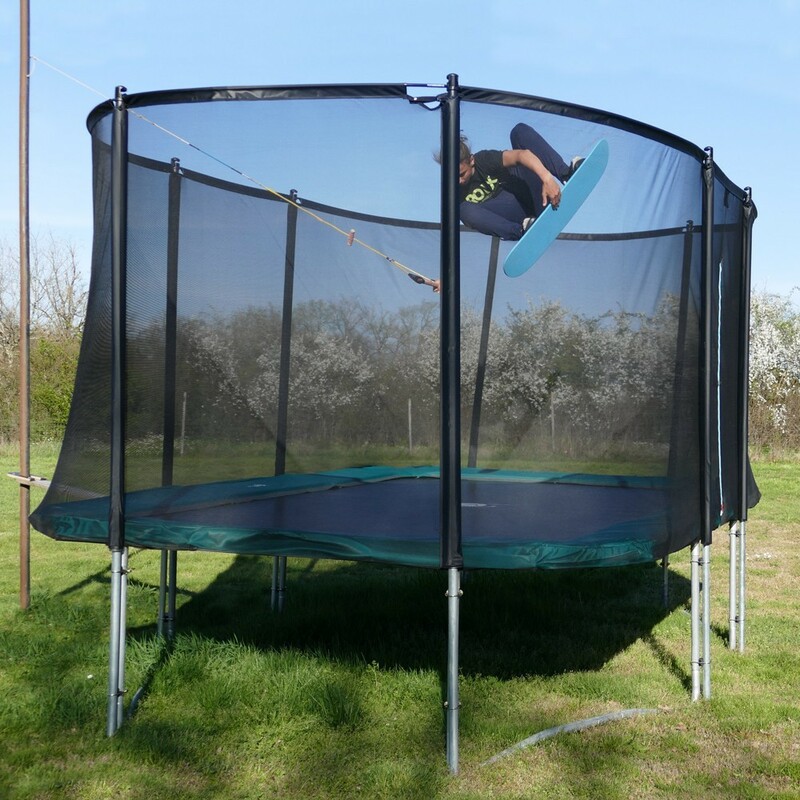 The new Apollo Sport 500 trampoline will inspire thrill-seeking athletes as well as non-athletes. 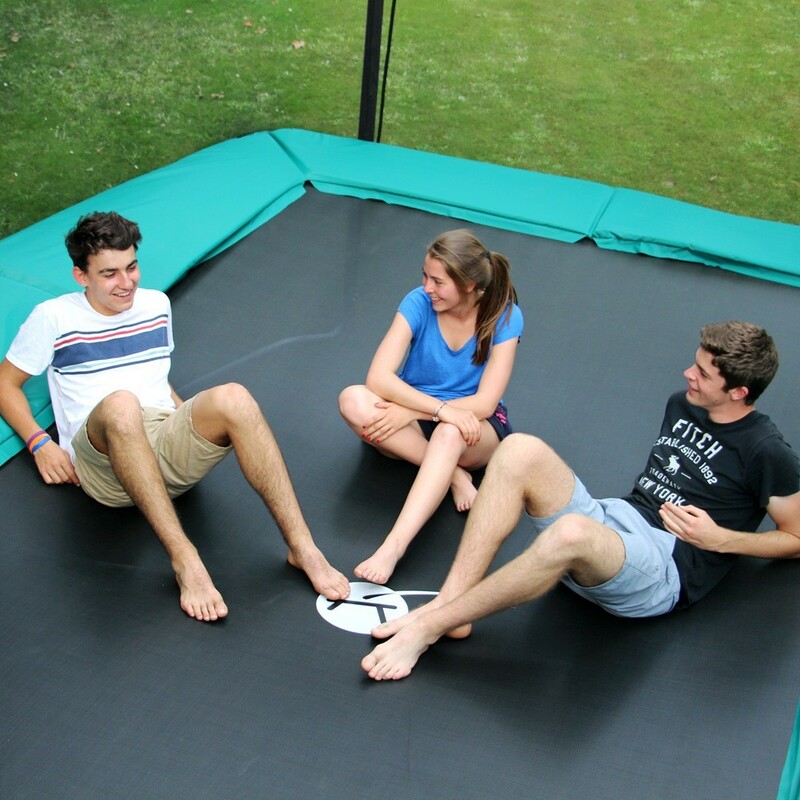 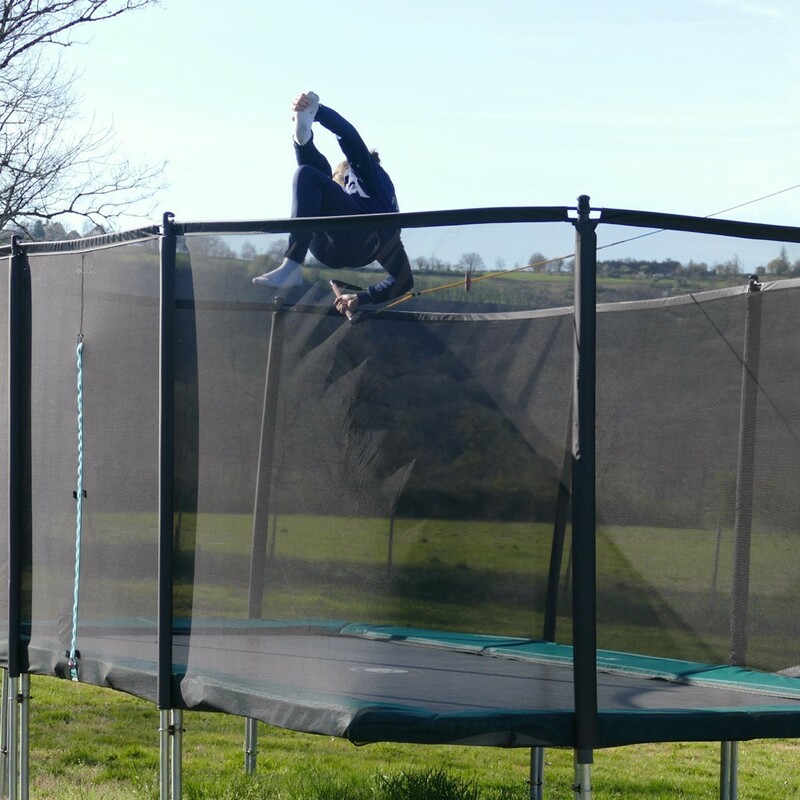 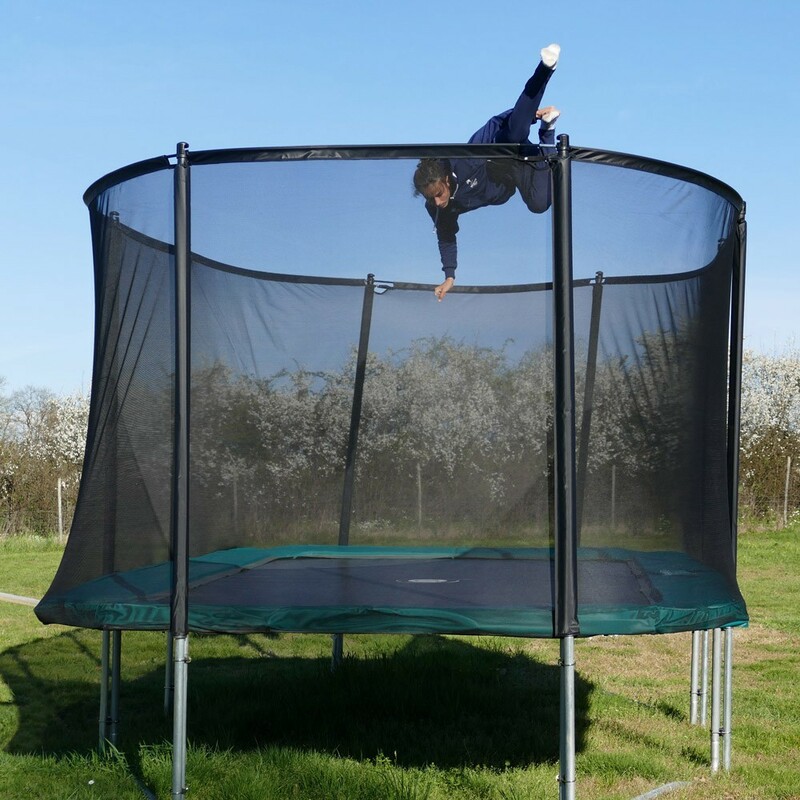 This large high-performance trampoline (our largest) provides users with a very large jumping mat (524 x 303 cm) for acrobatic jumps and figures. 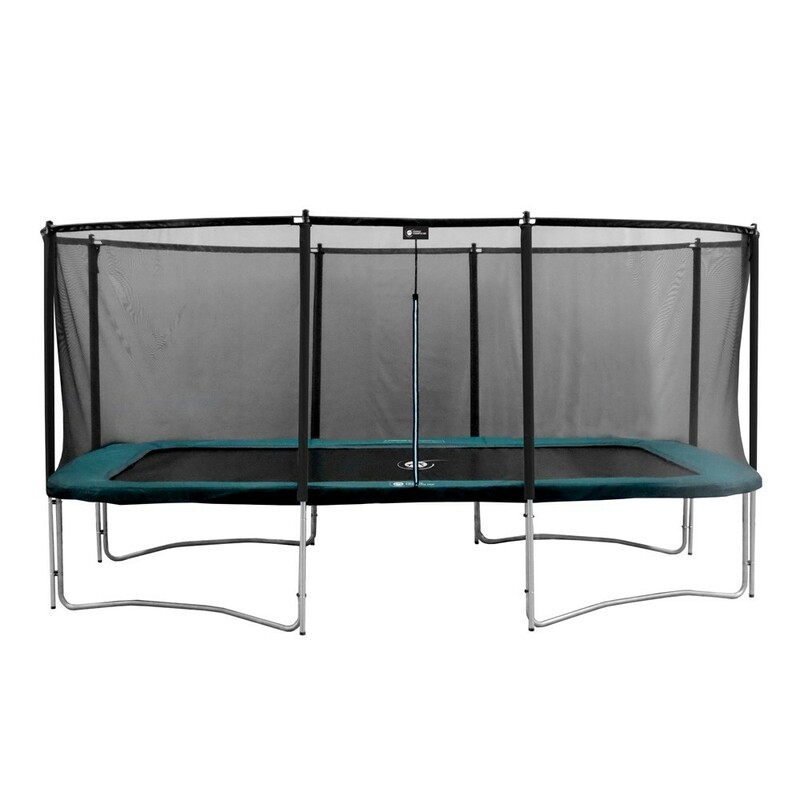 The Apollo Sport 500 provides users with considerable momentum thanks to its 74 200-mm and 26 180-mm springs. 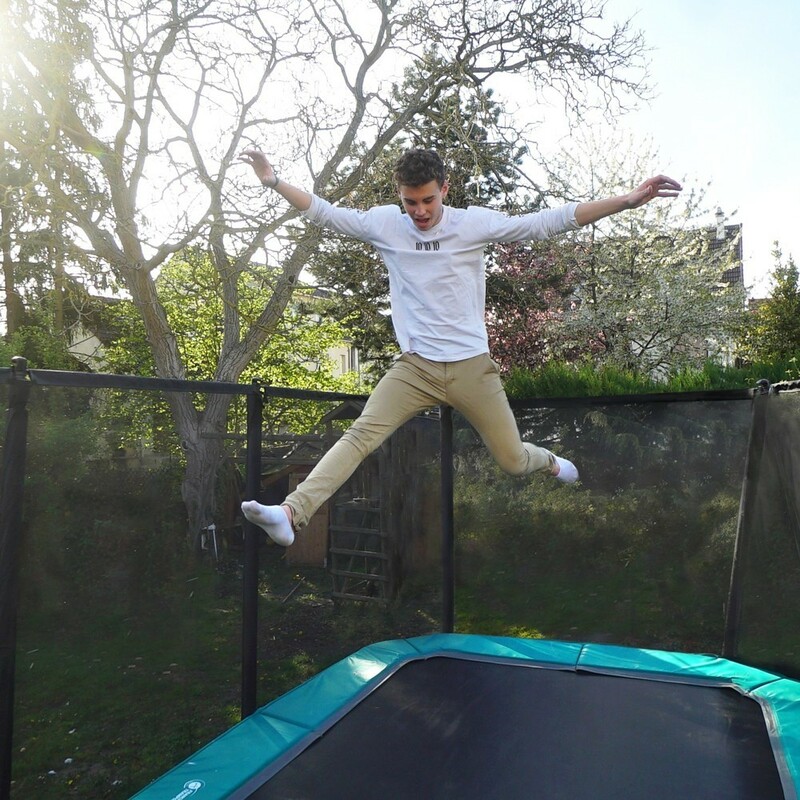 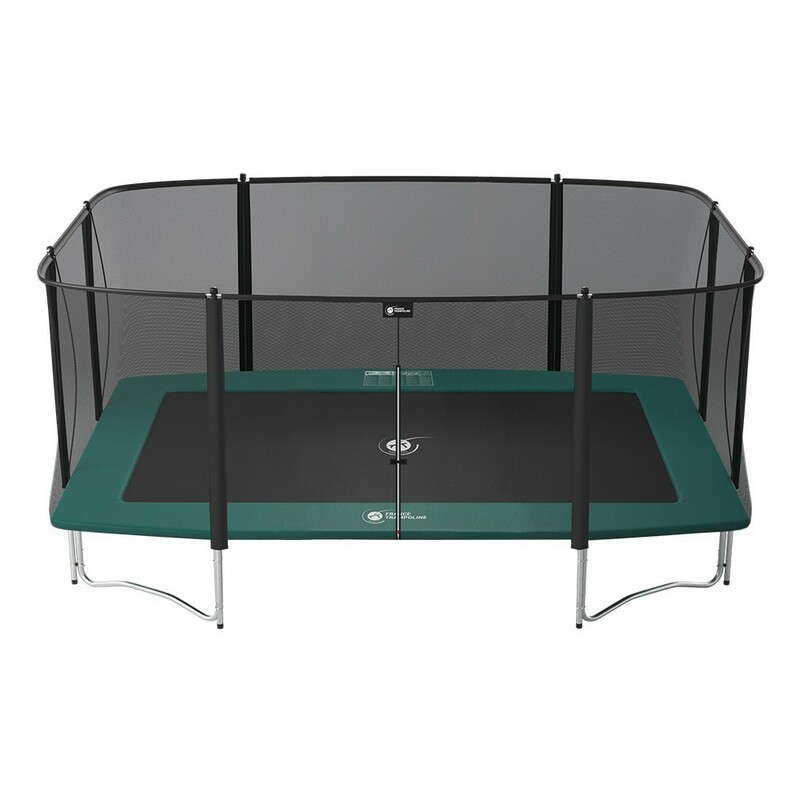 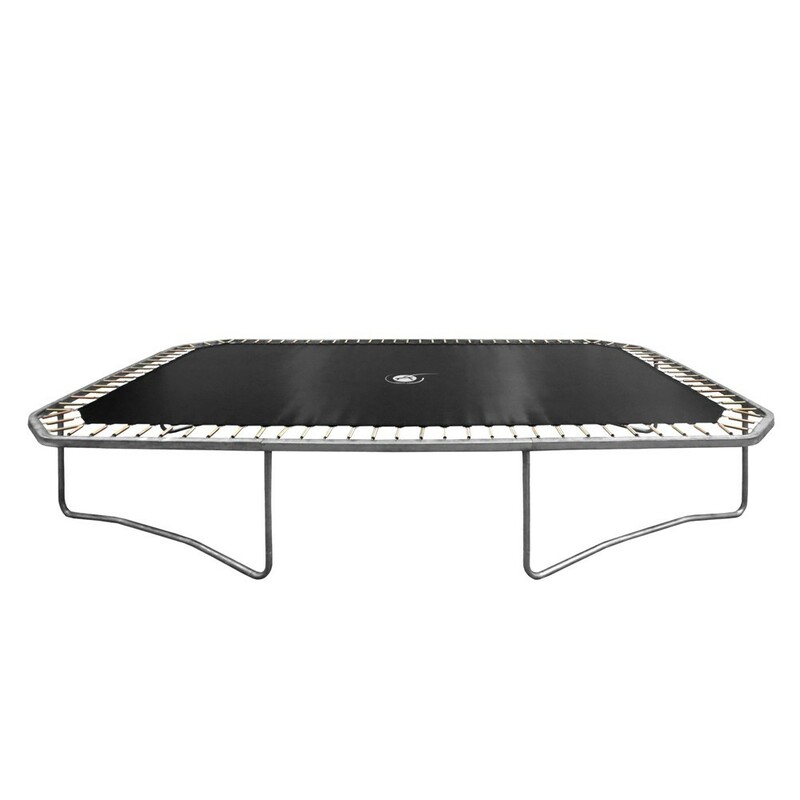 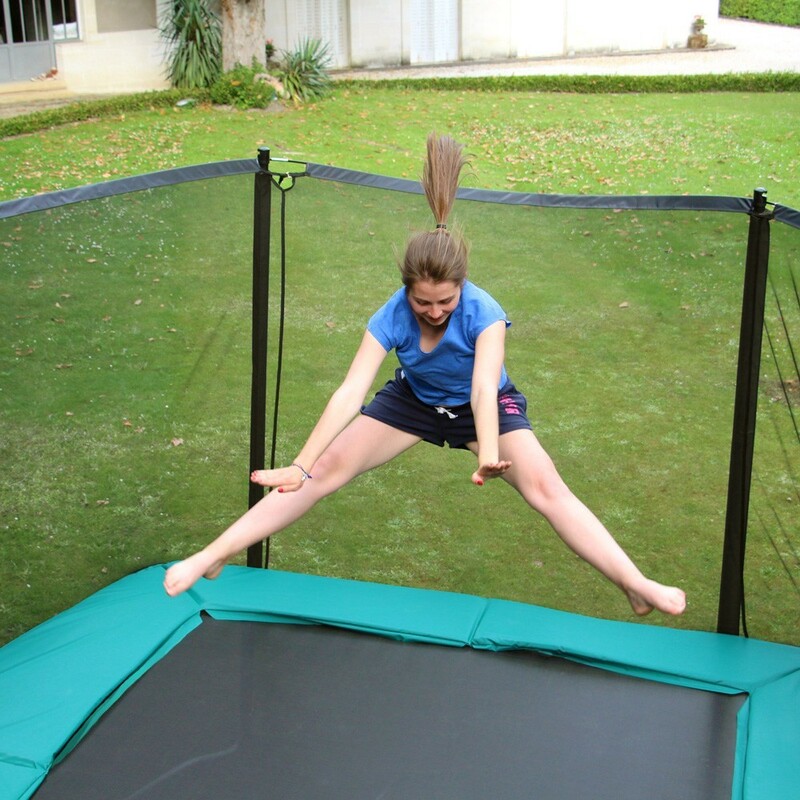 This trampoline’s new rectangular frame is made of 2.5-mm thick galvanized steel to ensure high-quality use. 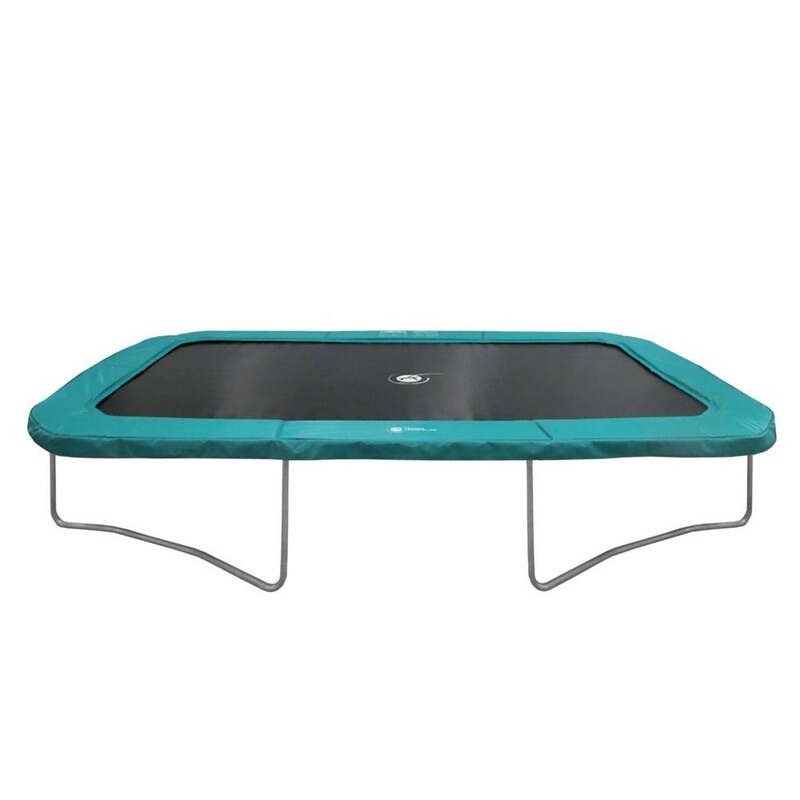 Its 30-mm thick safety pads surround the jumping mat and entirely cover the springs to cushion falls. 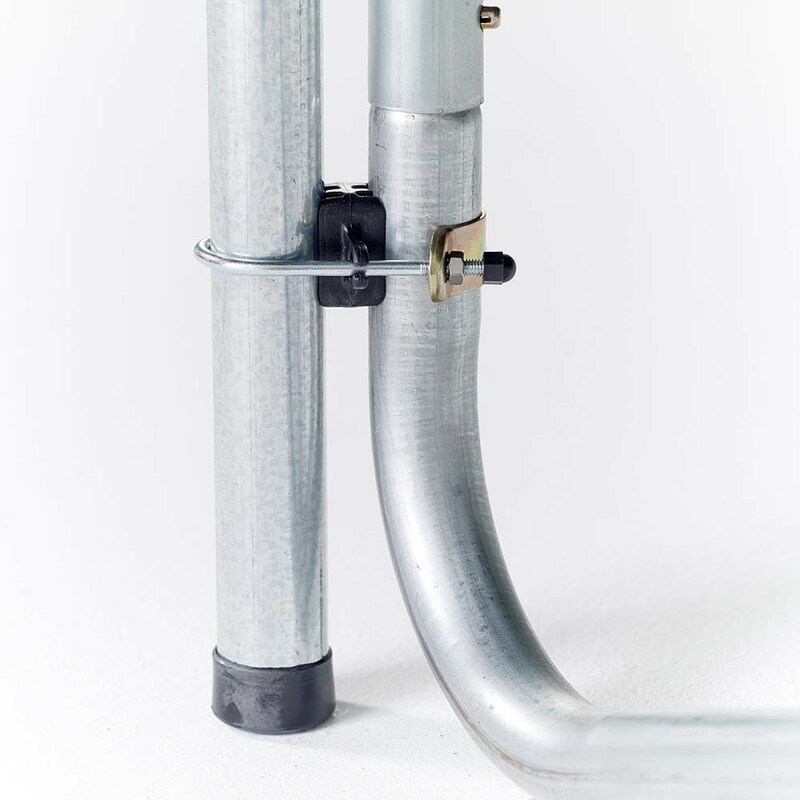 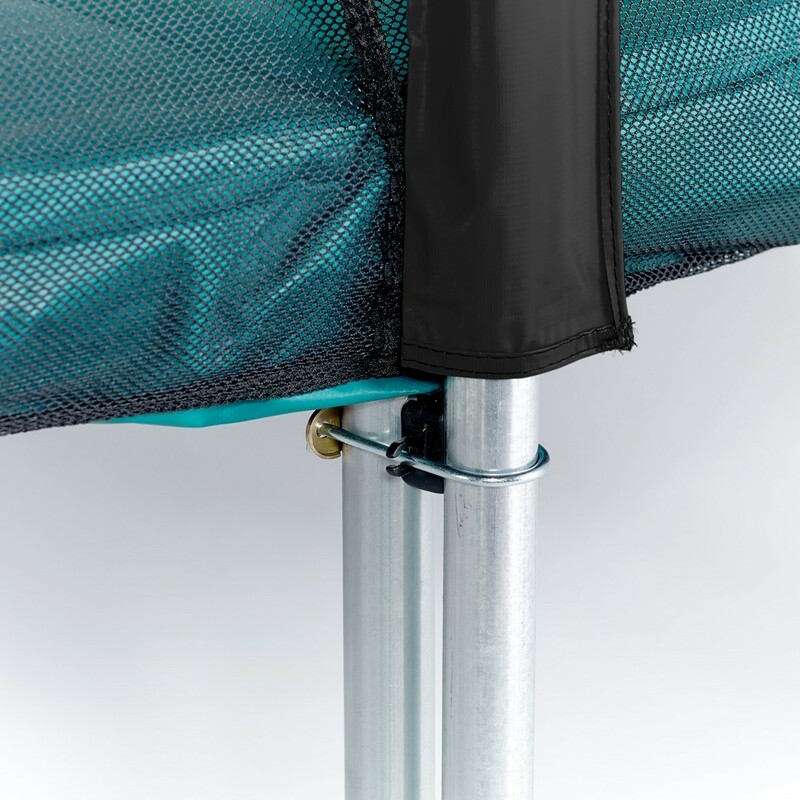 The premium safety net made of 160g/m² polyester is tightened by fiberglass rods for maximal tension. 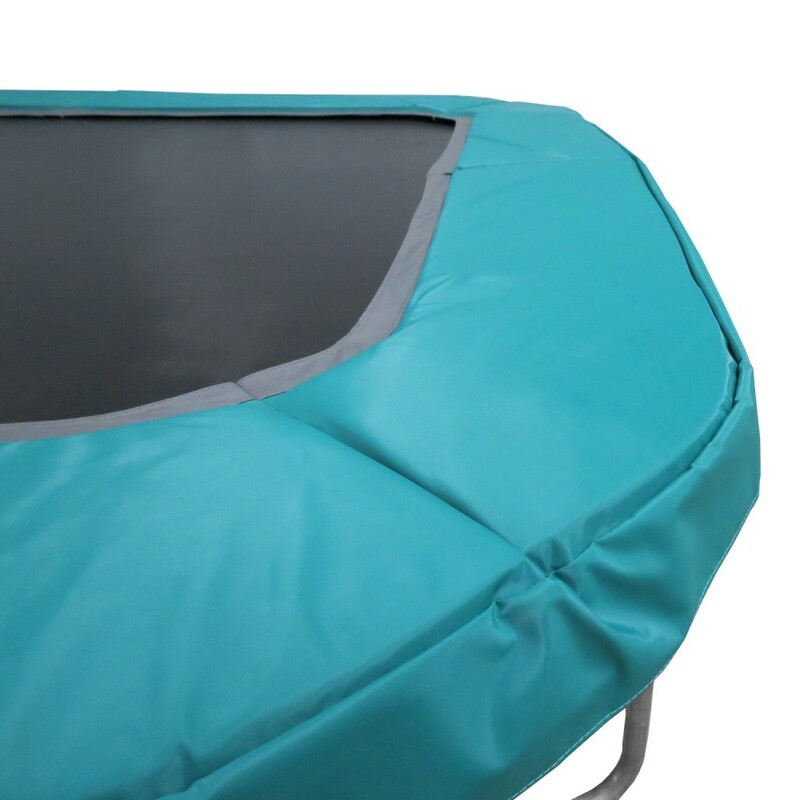 The entrance to the jumping mat zips open and close for optimal safety. 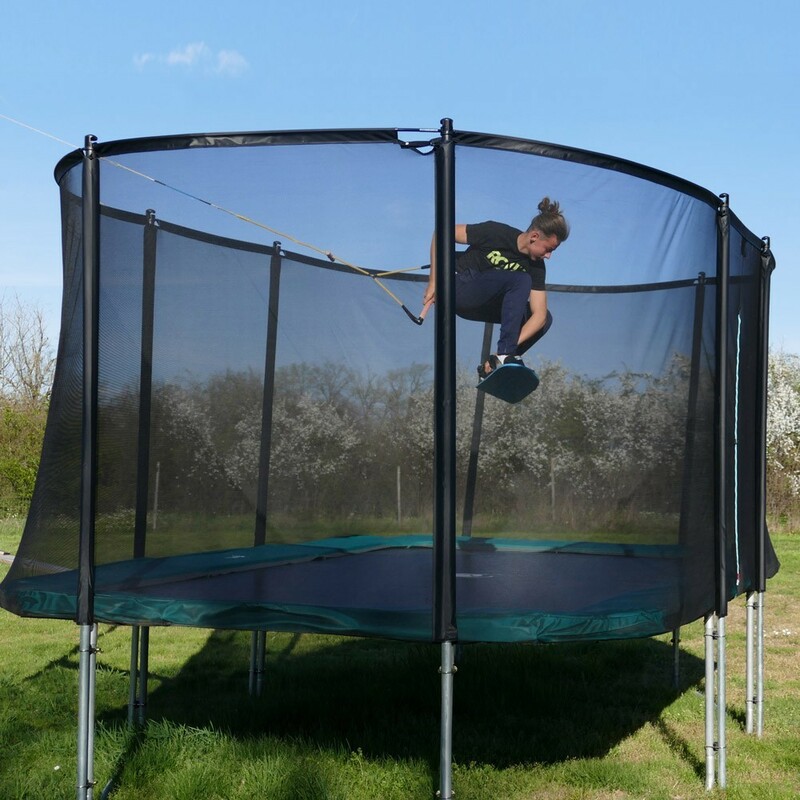 Information: The ladder and the tarpaulin adapted to this rectangular trampoline will be available in the spring of 2019, at which time the Maxi Pack Apollo Sport 500 will be available.